Could an iron deficiency be causing you to lose hair? Perhaps. Research has shown that iron deficiency could very well play a role in hair loss. It’s not “definite,” but it’s definitely probable. Researchers who’ve studied the issue have concluded that having too little iron in the blood makes hair loss worse for both men and women. Interesting, right? Dr. Bergfeld at the Cleveland Clinic and George Cotsarelis at the University of Pennsylvania have studied iron supplementation as it relates to hair loss. They’ve found that replenishing hair-loss patients’ iron stores have helped those patients regrow hair– or, at least, stopped them from shedding hair. This works even for those who aren’t anemic. FYI: to check a person’s iron stores in their body, the amount of ferritin in the blood is measured. The less ferritin in the blood, the less iron a body has stored up. “Normal” ferritin levels are 10-15 ng/mL, while researchers think you’d need a ferritin level of 50 to 70 ng/mL in order to replenish hair. Who is most likely to become iron deficient? Women of childbearing age with heavy menstrual periods who are losing their hair might want to check with their doctors. 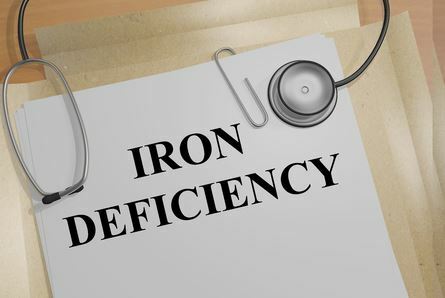 Iron deficiency, especially at the point of anemia, can be a symptom of a serious illness. If you suspect you might be iron deficient, do yourself a favor and consult with a knowledgeable doctor to figure things out. Other than that, iron-rich foods are good to eat, should you want to take a natural approach to boosting your iron store. Add more tofu, lentils, beans, oysters, spinach, prunes, raisins and lean beef to your diet. And if your hair loss is annoying you, talk with NM Hair Replacement Studio about looking and feeling better– call 718-267-2516 for a free consultation today.